CH Technologies (USA) Inc. has successfully completed a research project undertaken in association with Professor Gedi Mainelis, a faculty member in the Department of Environmental Sciences, Rutgers University, New Brunswick, NJ. 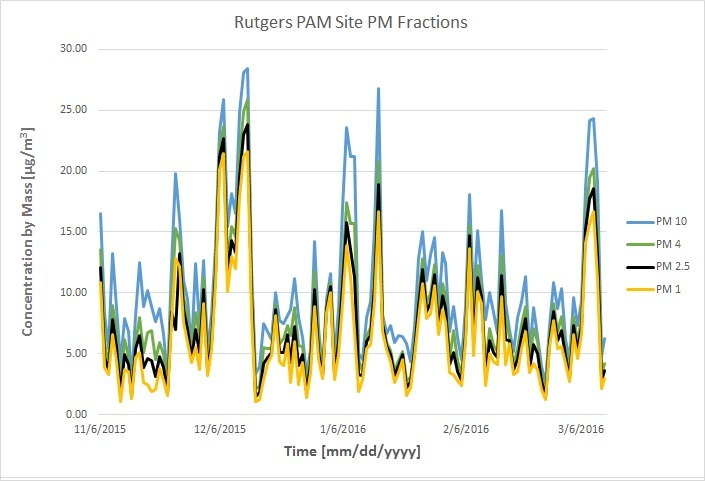 CH Technologies’ continuous environmental monitoring station was installed at the Photochemical Assessment Monitoring (PAM) site at the Rutgers Horticulture Research Farm 3 (East Brunswick, NJ) for four consecutive months. The CH Technologies' monitoring station consisted of a weather tight cabinet, a weather station, a Fidas 200 Fine Dust Aerosol Spectrometer for measurement of PM 1, PM 2.5 and PM 10 plus PM total and Particle concentration, a Naneos Partector for measurement of nanoparticle alveolar lung deposited surface area (LDSA), and Air Monitors Ltd Envirologger for real-time transmission of collected data to the air quality monitoring network (AQMESH). The PM fractions obtained with the Fidas 200 over the four month monitoring period can be seen in figure 1. 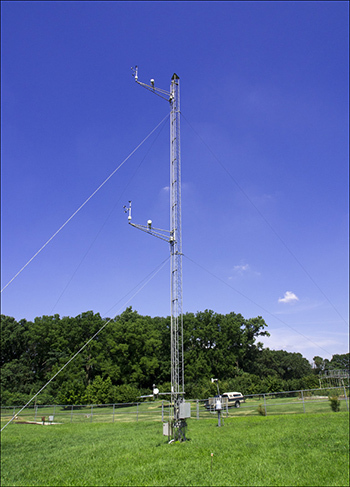 A direct comparison was performed to establish the comparability of the Fidas 200 to a FEM (Federal Equivalent Method); the FEM utilized was a Beta Attenuation Mass Monitor (BAM). The PM 2.5 fractions of the Fidas 200 and BAM appeared to trend very well together which can be seen in figure 2. We also examined the relationship of LDSA, obtained by the Partector, with the Fidas measured values. It was found that total suspended particles trended very well with measured LDSA which can be seen in figure 3. 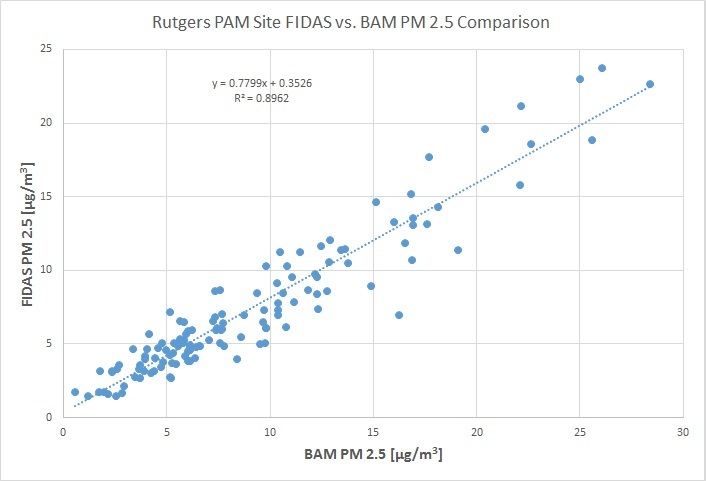 A direct correlation between the PM 2.5 fractions measured via the Fidas 200 and the BAM was found with an R2 of 0.896, this can be seen in figure 4. Figure 1: PM fractions measured with the Fidas 200. Figure 2: PM 2.5 values measured with the Fidas 200 and Beta Attenuation Mass Monitor. 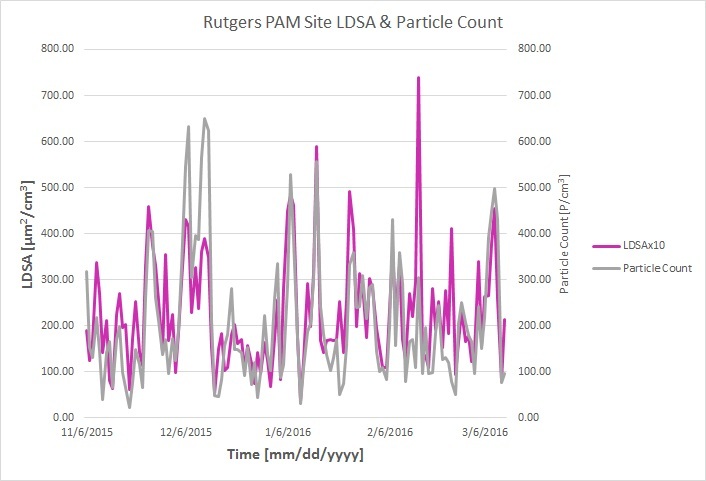 Figure 3: LDSA measured with the Partector and the Total Suspended Particulate measured with the Fidas 200. 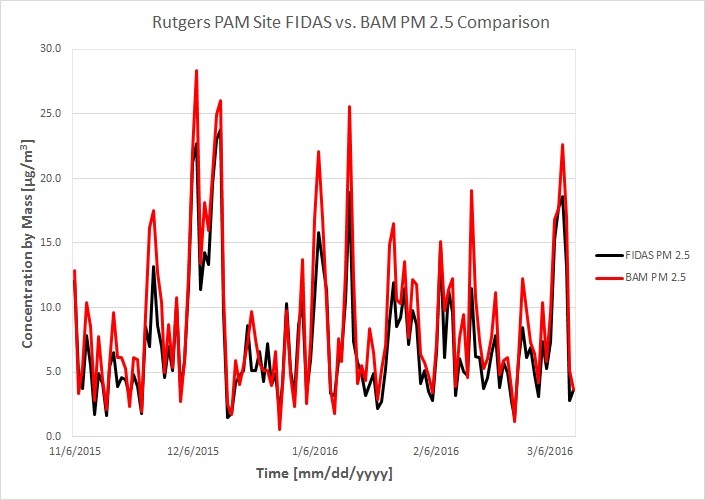 Figure 4: Fidas 200 to BAM PM 2.5 correlation.